KINSHASA – PLANS by Angola to grow its energy generation capacity by 2025 have received a major boost when a local independent power producer and engineering procurement and construction contractor – an American-headquartered electric company signed an order to expand a major power plant in the northwest of the country. Aenergy (AE) and General Electric (GE) have entered the contract, valued at $220 million, to expand the Soyo Combined Cycle Power Plant, which would add up to 750 megawatts (MW) to the country’s grid. This is equivalent to power needed to supply more than 3 million Angolan households- about a tenth of the population. Ricardo Machado, Chief Executive Officer of AE, said the Soyo power plant expansion project was a milestone for the Aenergy group in Angola, contributing towards increasing the country’s power generation capacity aligned with the government’s energy objectives. “The technological prowess and on-the-ground local market expertise of the AE-GE partnership proved to be a huge advantage for our teams right through the process of configuration selection, to submission of cutting edge performance parameters and detailed proposal to the Ministry of Energy and Water (MINEA),” Machado added. electricity sector in the 2018-2025 horizon. Government has identified priority investments in generation, transmission and interconnection as well as the distribution and network expansion model up until 2025.
foreseeably reaching a load of 7,2 gigawatts (GW), more than four times the present capacity. This growth will result mainly from bringing power to 60 percent of the population. 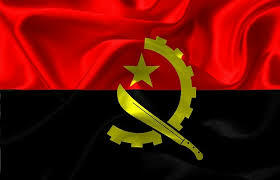 Wilson Da Costa, CEO, GE Angola, said Angola was accelerating towards achieving energy security, which had led to greater investment in the sector. especially to the Soyo region, the country’s largest oil-producing region, when it comes online in 2022. “GE’s unmatched technology advantage, local presence in Angola and track record of gas powered projects in Sub-Saharan Africa gives us an edge in addressing the needs of our customers in the region,” Da Coast added. GE has been operating in Angola since 1958. It employs more than 500 people across key sectors as oil and gas, power and healthcare as well as rail transportation. through the country’s first GE Gas-Insulated Switchgear (GIS) 400 kilovolt (kV), six generator step-up transformers along with secondary grid products to maximize switchgear and the Plant Distributed Control System (DCS).